Do you live in one of the top 25 places in Sussex? New research, revealed today, has pinpointed the best places in Sussex to live. 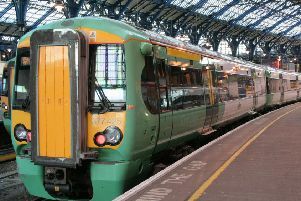 Using various ctiteria, such as education, safety, noise, grocery, lifestyle, public greenspaces, and transport, property technology startup OneDome has ranked the top 25 places to live in Sussex with its Locality Reality mapping tool, which scores postcodes out of ten based on their local amenities. With its many schools, shops, restaurants and bars, Brighton comes out on top. Here’s the top 25 and their scores. *This survey is based on postcode data so Brighton and Hove have been scored as two towns rather than as one city. All data is collated from over 70 publicly available data points, such as the Office for National Statistics (ONS), and then crunched using several algorithms to generate the scores. Using the same data, but cross-referencing it with Land Registry data on average prices paid for property in the postcode, here are the top ten areas below the £300,000 threshold to avoid stamp duty. The mapping tool also allows homebuyers, renters and the curious to compare not just overall scores, but individual scores for transport, schools, lifestyle and so on. Users need only type in their postcode into the online tool to find out their Locality Reality score.